Domesticated dahlias are a popular garden plant and cut flower, and thousands of people around the world breed and exhibit dahlias in shows. They are also very popular as wedding flowers, and an increasing number of people are growing their own wedding dahlias to save money. Dahlias bloom from late June to the beginning of November in the Madison, WI area, so they cover a lot of the wedding calendar. Hybridization of dahlias over hundreds of years has led to some very fanciful genetic combinations, with some blooms mimicking orchids, daisies, waterlillies, or even swirls of pink cotton candy! Today’s dahlias are descendants of a wildflower genus native to Mexico. 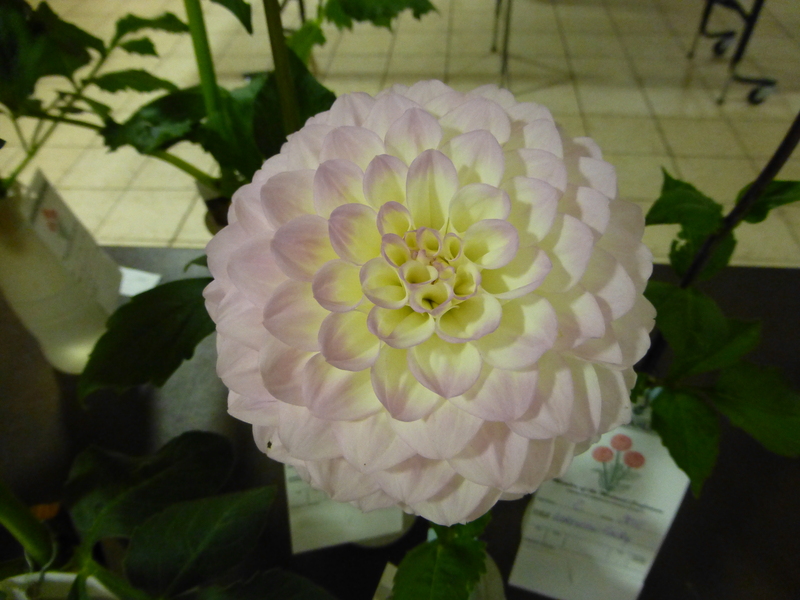 Over the past 200 years, over 20,000 named dahlia cultivars have been produced. Each cultivar is classified according to a four-digit code incorporating bloom size, form and color, as well as a name (e.g. “Vassio Meggos,” “Hy Clown,” etc.) Dahlia blooms can be as tiny as a dandelion, all the way up to 14 inches across! Dahlias are one of the easiest-to-grow and most productive flowers around. Just stick a tuber (similar to a “bulb”) in the ground, water it regularly throughout the summer, and you will have beautiful flowers to cut and enjoy from July until November. Dahlias are considered an annual in northern climates, so amateur gardeners usually buy and plant fresh tubers each year. See our Meetings & Events page for information on our popular May tuber sale. Most dahlia club members go a step further and dig tubers to store over the winter. By storing tubers, dahlia aficionados around the world preserve thousands of “heirloom varieties” of dahlia from year to year. In addition, many dahlia fans make a hobby of improving on the older varieties, creating new hybrid seedlings, and optimizing bloom size and stem length for exhibition. Please see our Links page for information about dahlia varieties, suppliers, planting, cultivation, exhibiting blooms at shows, and storing tubers over the winter. 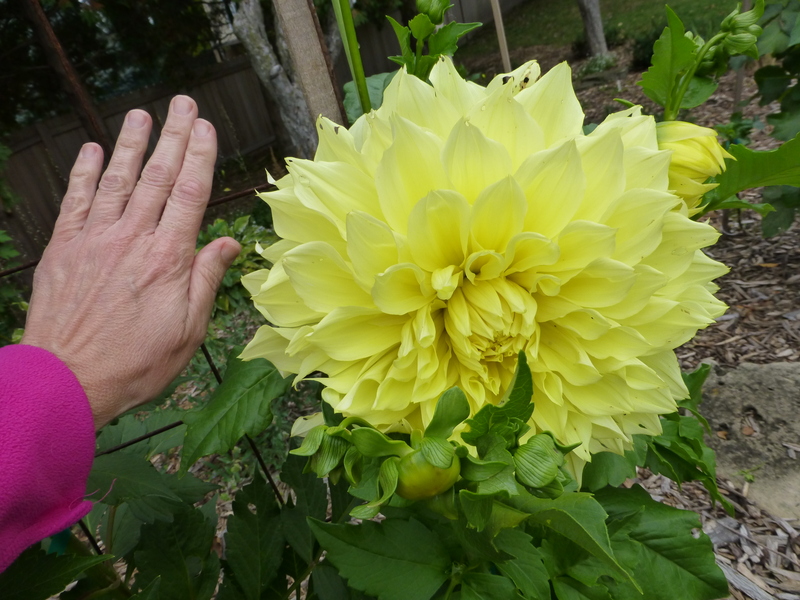 Better yet, join the Badger State Dahlia Society and learn in person from experienced growers!